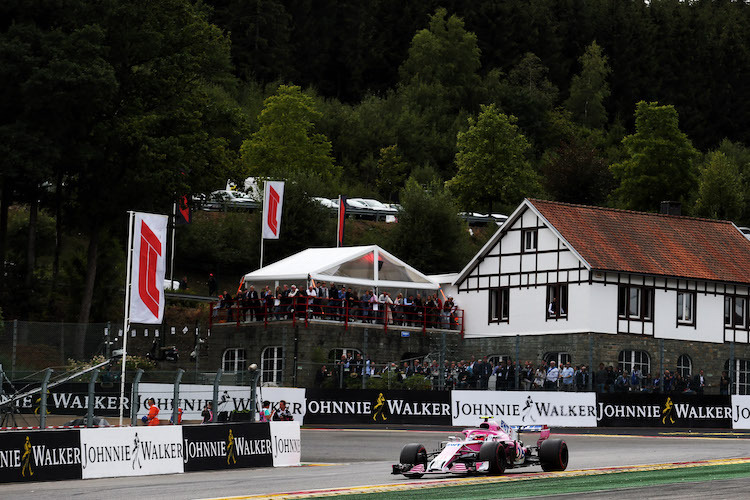 F1 ticket information for the 2019 Belgian Grand Prix at Spa Francorchamps. We’ll keep you updated with the latest discount offers, as well as provide information on where best to sit. Tickets for 2019 are now on sale. Compare prices with official resellers below..
General Admission Bronze tickets start from £129 for a 3 day weekend pass and £125 for Sunday race day. There are two grades of grandstand areas for Belgian Grand Prix event; Silver and Gold. The Gold Grandstands are situated around ‘La Source’ hairpin corner and the start/finish line and start at £358 for a weekend ticket. This offers a fantastic view as the drivers make this difficult turn and zoom down the main straight. There is also the option to view from a sheltered Grandstand which start from £407 per weekend. The Silver Grandstands are situated around ‘La Source’ hairpin corner and the start/finish line and start at £300 for a weekend ticket. This offers a fantastic view as the drivers make this difficult turn and zoom down the main straight. There is also the Silver 4 Grandstand which is the only Grandstand which is on the opposite side of the track to the rest. A free afternoon pit walk and drivers’ autograph session is expected to be held on the Thursday for all weekend ticket holders and no pre-booking is required. (This is subject to confirmation). We’re in contact with a number of the Formula 1 Hospitality providers. If you want to enquire about available packages please use the contact form by clicking here and we’ll see what they have available. Child Tickets: Discounted child tickets are available for all children under the age of 15. Children under the age of 5 are guaranteed free entry (photo identification required) but must sit on a parent’s lap unless a separate child ticket is purchased. Disabled Access: Next to the Gold 7 grandstand, a disabled podium for wheelchair users is available. Each disabled user may bring one carer to the podium and both spectators must be a ticket holder. A disability card may be required both at the time of booking and on arrival at the circuit. Prices are for guide purposes only and may change on occasion.